The rocker's stand of choice for decades. 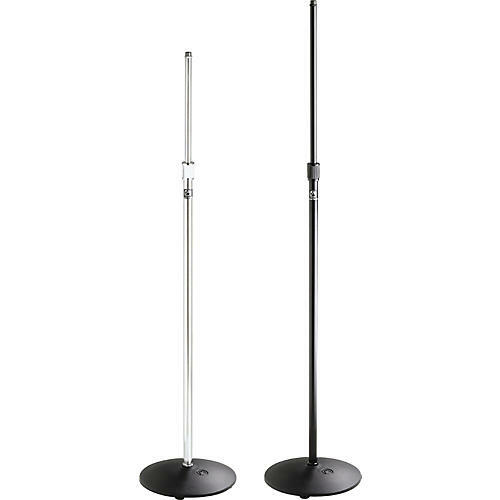 The Atlas MS-12C stand is a versatile all-purpose stand with durable tubing, a 10" diameter base, and the famous Atlas Sound wearproof clutch for positive locking control of mic position. Adjustable from 35" to 63". The base features edge concentrated weight distribution and is equipped with rubber pads to absorb shock and protect floor surfaces.